Yum Pumpkin Ed Standup Jigheads. Flat head and hook angle allows soft plastics to stand upright, imitating a feeding baitfish, amphibian or defensive crawfish. 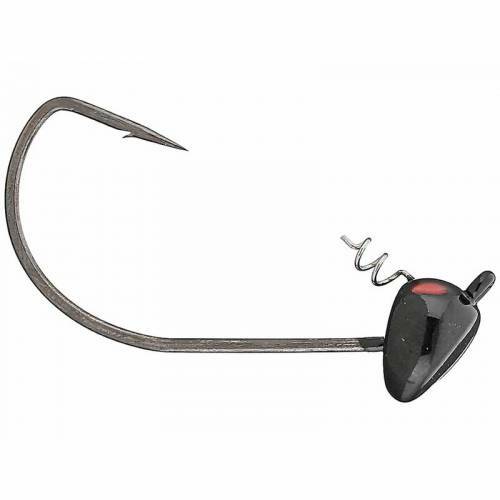 Horizontal line tie provides solid hooksets and corkscrew bait keeper positions each bait at a perfect angle. Available in assorted sizes and colors.